To some people, the idea that any part of Mexico’s political system is superior to the United States is crazy. However, when it comes to our different methods of conducting elections, it’s very true. The Mexican electoral system is perhaps the most fraud proof in the world. America’s, by comparison, is a mess. Our system is different from state to state, and is open to all kinds of fraud. It wasn’t always this way. In fact, Mexico’s system used to be a corrupt mess. The 1988 presidential election in Mexico was plagued with scandal and widespread corruption. Not wanting to put the country through another ordeal, the major parties agreed to create a non-partisan and non-governmental electoral commission that would conduct the voting process, and ensure honest and fair elections. In 1990, the Federal Electoral Institute (IFE) was created, and the first presidential election was held under the new rules in 2000. David Arredondo is Vice-Chairman of the Lorain County Republican Party, and is himself the son of Mexican immigrants. In May, he testified before a committee held in Cleveland that included Senator Sherrod Brown. The following is an excerpt of his testimony to the panel. The electoral system created by IFE is open and transparent. 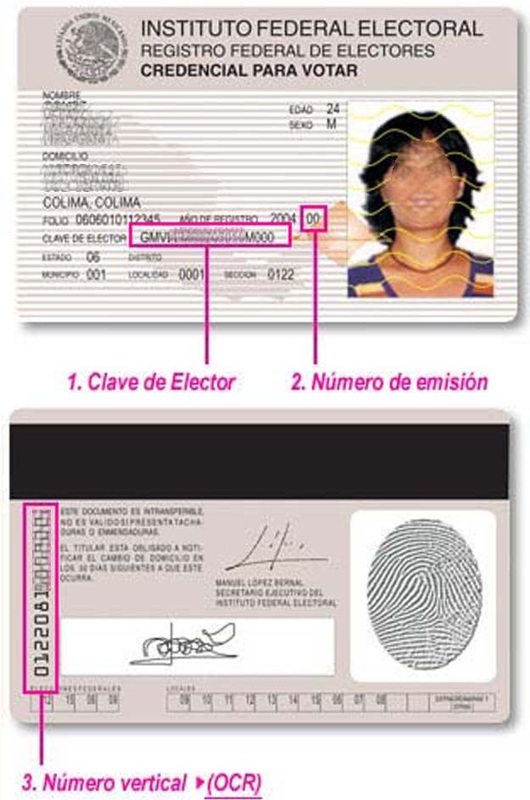 Every eligible Mexican citizen has a tamper-proof photo-ID card with a thumbprint and an embossed hologram. All voters are required to vote in their neighborhoods and in 2005, the law was amended to allow for ”external,” or out of country absentee voting. There is no such thing as a provisional ballot. All elections are held on Sundays. Mexico is a relatively poor country yet does not lower standards to allow for the poor to register and vote as is done in America. No excuses are made while setting a high standard for all with no discernible drop in voter participation. The registration process requires all citizens to personally enroll. Proof of birth or citizenship is step one. Applicants are photographed and fingerprinted and then required to personally return to collect their voting credential. There is also no early voting in Mexico. When we dare talk about requiring identification to vote here in America, the left screams that it would suppress the vote. When the Republican legislature in Ohio passed an election reform bill to curtail early voting from 6 weeks to 4, Democrats had a fit and got their union masters to fork up the cash for an expensive petition drive to put the issue on the ballot. Again, they claimed that the evil Republicans were taking away voters’ rights and trying to suppress the vote. However, the facts simply do not bear that out. Consider these Mexican electoral numbers from before and after the reforms. In 1994, voter registration was 45 million, which was 50% of the population. In 2009, it rose to 72 million which is 65% of the population. So, even though the reforms made it more involved to register, registration actually increased. What about turnout? Did the tough new voter ID laws and lack of voting by mail suppress the vote? Let’s compare apples to apples and look at presidential elections. In the 1988 election, there were 19.6 million votes cast, representing about 25% of the population. In 2006, under the strict new rules, the number of votes cast skyrocketed to 41.7 million, which was almost 40% of the population. What could explain this? My opinion is that Mexican citizens finally felt confident that their system was clean and honest. They no longer felt that their vote wouldn’t count because of fraud. Citizens who were once apathetic because they knew the system was broken are now partipating at a higher rate because they now know that their vote counts and won’t be negated by cheating. This is compelling evidence that laws aimed at eliminating vote fraud do not supress the vote, but actually increase voter participation. Fully 70% of the U.S. population believes that a photo ID should be required to vote. Liberals who oppose these common sense ideas want the system to remain open to fraud. There is no other explanation. When it comes to electoral integrity, the United States needs to follow Mexico’s example. Our system needs an upgrade to Mexican standards.